The idea of covenant was at the heart of early New England society. In this singular book David Weir explores the origins and development of covenant thought in America by analyzing the town and church documents written and signed by seventeenth-century New Englanders. Unmatched in the breadth of its scope, this study takes into account all of the surviving covenants in all of the New England colonies. 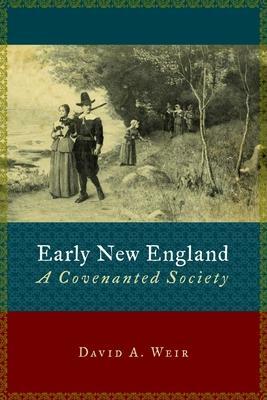 Weir's comprehensive survey of seventeenth-century covenants leads to a more complex picture of early New England than what emerges from looking at only a few famous civil covenants like the Mayflower Compact. His work shows covenant theology being transformed into a covenantal vision for society but also reveals the stress and strains on church-state relationships that eventually led to more secularized colonial governments in eighteenth-century New England. He concludes that New England colonial society was much more "English" and much less "American" than has often been thought, and that the New England colonies substantially mirrored religious and social change in Old England.